Halloween is here, so we’ve compiled a list of Halloween safety tips to keep your little trick-or-treaters safe! Make sure costumes aren’t too long for little legs. All that running over unfamiliar terrain in the dark and bending over for candy can make trips and falls easy. Also, make sure costumes are warm enough and wear comfortable walking shoes to keep little feet happy for longer. Give each of your children a flashlight, or, if you are sure they won’t put them in their mouths, glow sticks. For toddlers, consider putting some Glow in the Dark Paint or reflective tape on their costumes – then you’ll be able to find them easily in the dark. 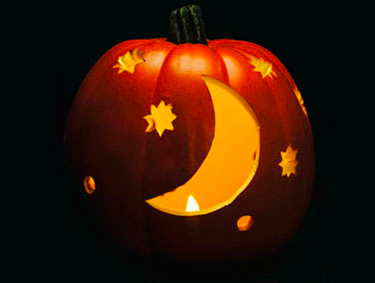 You might consider finding a well-lit neighborhood to hunt candy in if yours doesn’t have streetlights. Make sure to eat a meal before going out so everyone’s tummies are full and less likely to get upset at candy later on. While you are all around the table, talk about Halloween safety. Set expectations around staying with the group and not running ahead, staying on sidewalks and with Mom or Dad, not eating anything until they ask first, and being polite to neighbors. Remind them about taking one piece of candy per house, and to say “thank you” to every person. Tell them you will always be “waiting behind them at the beginning of the walkway” if you don’t plan on walking up to every house with them. If your child has allergies, go over not eating anything without asking first again, and bring an Epi-Pen with you. Then, visit to the potty before heading out, and go have a great time! You’ll want to take any gum, hard candies, and any too-chewy candy…along with a few of your favorites. You deserve a treat, too! If you find yourself with too much candy, stop into Norwell Pediatric Dentistry on 317 Washington Street in Norwell for their candy buyback program! You can drop off your extra Halloween candy to support Operation Gratitude from Nov. 1-3 8 a.m. to 5 p.m. Kids will receive a $1 coin, and coupons to local businesses (roller skating, swimming and more!) in exchange for the extra candy.